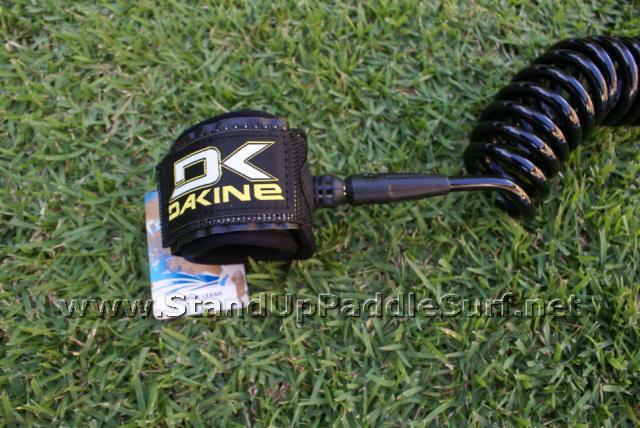 DaKine came out with a coiled stand up paddle leash designed for downwind runs or touring. 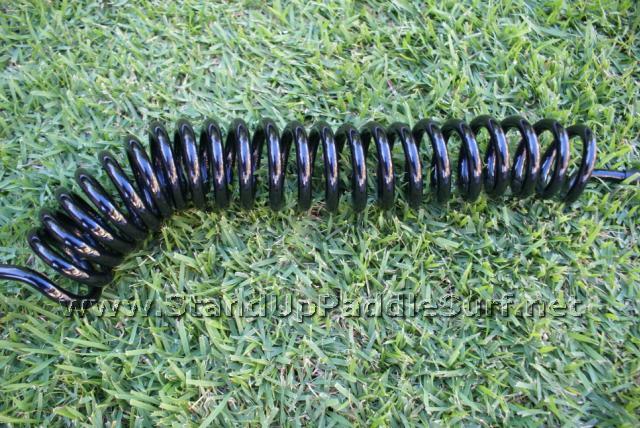 The coils have a larger diameter than others I’ve seen and used and the leash cord is thicker. 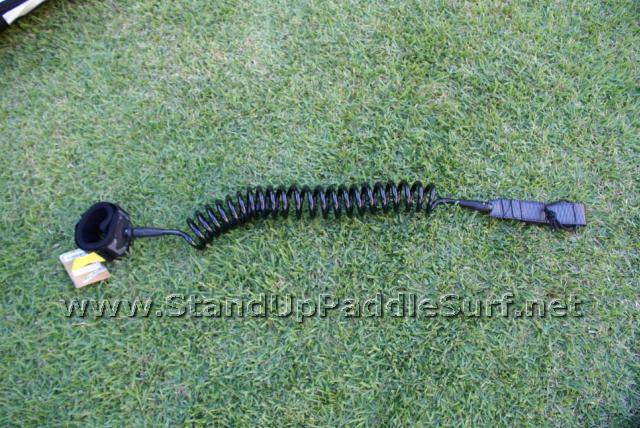 This is a dedicated downwind or touring leash because it stays nicely out of the water but if you wiped out on a wave with it the chances of it balling up are pretty high. I’ve been trying out different leashes for downwinders lately after trying a really short (6 feet I think) leash on Todd Bradley’s C4 Vortice XP. I really liked that because when I fell off it was easy to pull the board back. The downfall to a short leash is that if you don’t fall away from the board there’s a good chance of hitting it like I did before while surfing. I’ve also tried another coiled leash I got from Wet Feet and that was really good until I tried surfing with it and it became a huge ball. I was able to unravel it after but I haven’t had good results with coiled leashed in the surf yet. 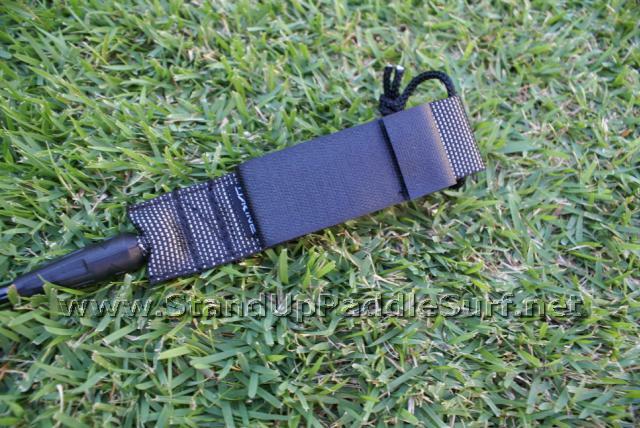 What I really like about the DaKine leashes in general is that they are very well made. The cuff fits comfortably and the swivel works good after months of use. The rail saver is a wider one that seems to do no damage to the rail. I like the short leash option for downwinders although I’m liking the coiled option more each time I use it. 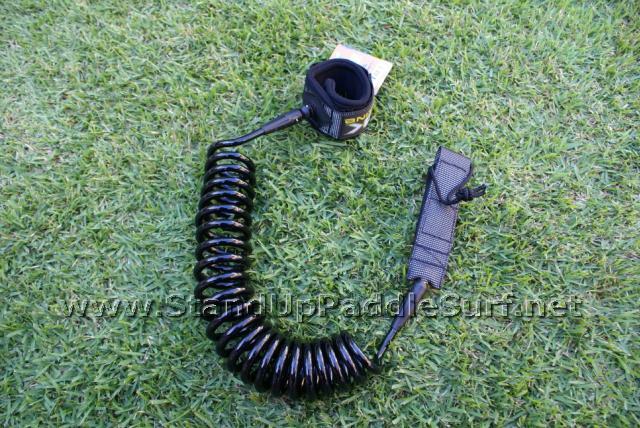 I recently got a coiled leash made by Bully’s that works great also. Very well made. I use it on my C4 Vortice. 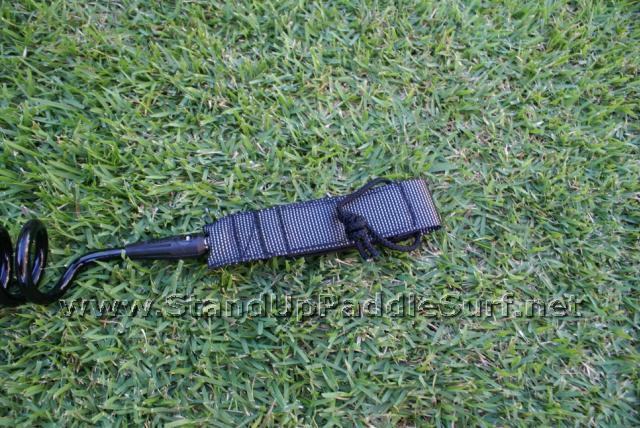 It is a calf leash that also helps to keep the leash out of the way. 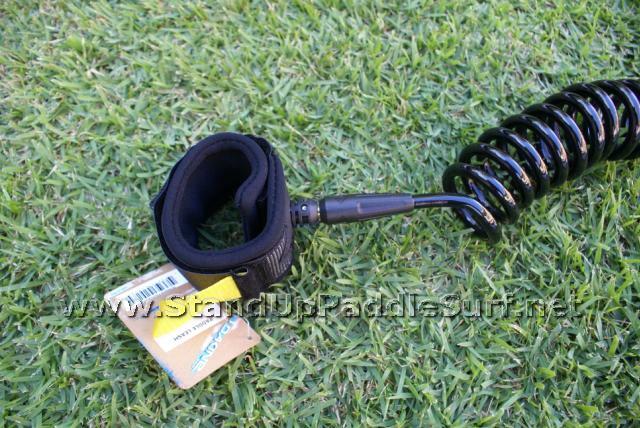 Where can I buy the Dakine downwind paddle leash? I have looked all over and have had zero success. I even went to dakines website, they did not list it.